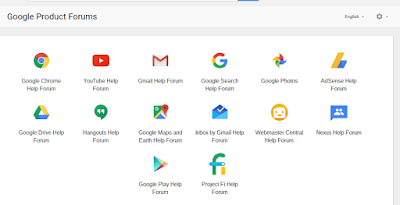 Seems to be lots of confusion lately on how people can get help for Google products. With the increase in companies claiming to be Gmail/Password help, more and more people are running into issues. As meniotned in this post, free Google Accounts do not have a customer service # of email address to contact. So where do people go to get help when they need it? 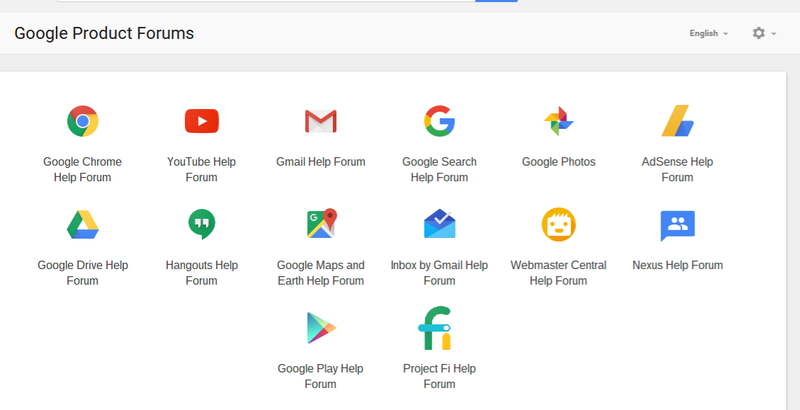 There are two main sources for free Google accounts: Support Pages and Google Product Forums. Support pages can be found at support.google.com. Here you will find help pages for just about every product imaginable. At the top you will find the most widely used products, but a click of the down arrows will expand to show the help pages for every single Google product. Once inside the help pages for the product in question, you have the ability to search exactly for your issue and hopefully find the answer you need. But, sometimes the issue at hand is not as easily found. This is when you should turn to the Google Product Forums. There are forums for tons of products it multiple languages. The product forums are user to user help forums, that have Rising Stars and Top Contributors, as well as other experts in each of the products. As with the support pages, the most widely used forums are listed at the top, with an arrow to expand to show all of the forums. Once inside to forum you can search to see if your issue was handled already, or you can post a new question, and within no time, someone will be posting a reply to you. As many of you know I am a Top Contributor in Gmail, Inbox, and Project Fi, as well as a Rising Star in Hangouts, Play, and Calendar. I have helped tons of users in the forums as well as learned tons from other users. In addition to the above, additional support is available to the paid products. Google Apps for Work, in addition to having a support page and product forum, has other ways to contact support here. Project Fi has all of the above as well as these methods of support. And Google Play has these.